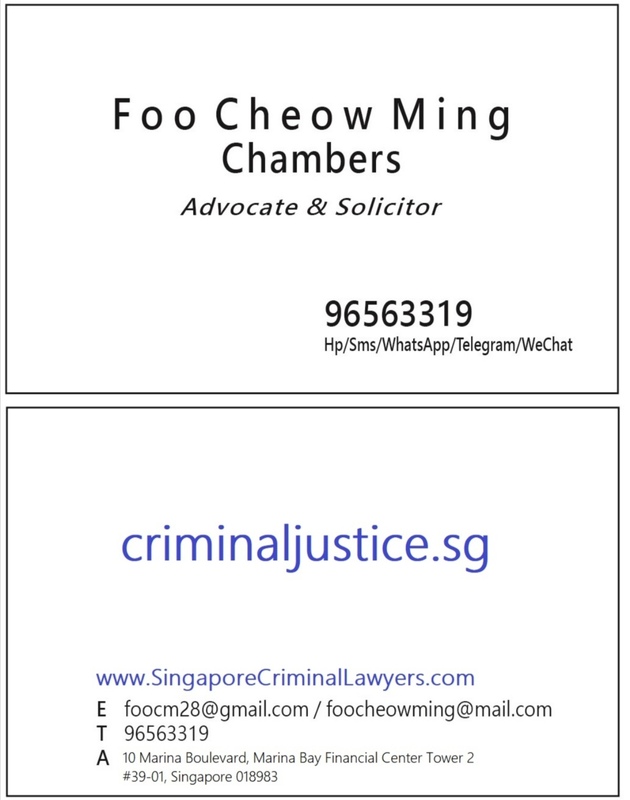 Mr. Foo is a dedicated criminal defence lawyer with almost 30 years practice experience (Asst Registrar High Court, Magistrate, Deputy Public Prosecutor and State Counsel, then as dedicated Defence Counsel). He applies his expertise to bring you a focused, solution-oriented and effective approach to your criminal case. then as Deputy Public Prosecutor in the Attorney-General’s Chambers. prominent criminal defender Mr Sant Singh Senior Counsel for 5 years. known in Singapore and abroad. Mr Foo is appointed to the List of Counsel for the Cour Penale Internationale (International Criminal Court, ”ICC”) in The Hague,Netherlands. The ICC is an independent, permanent court instituted under UN auspices that tries persons accused of the most heinous crimes of international concern, namely genocide, crimes against humanity and warcrimes. He is believed to be the first counsel from Singapore, as well as amongst the first appointed from the countries of SE Asia and East Asia, who has been so honoured. Mr Foo today commands 30 years of experience acting as both defence and prosecuting counsel in cases involving every description of white-collar, traffic, technical as well as violent crime offences including cheating, maid abuse, causing hurt and outraging of modesty, corruption, firearms offences, murder, bank robbery, Companies Act offences, road traffic, medical or industrial accident cases involving complex technical issues of accident reconstruction and contest of expert engineering, medical or psychiatric opinions, Factories Act offences, Computer Misuse Act offences, illegal money lending/laundering, harbouring and employment of immigration offenders and foreign workers, drug consumption and trafficking, and departmental summonses. Mr Foo has represented/advised major companies (Singapore Technologies Marine, AsiaLink Marine), banks as well as statutory boards (such as Civil Aviation Authority of Singapore, Energy Market Authority, Maritime Port Authority, Council for Private Education, just to mention a few) in the course of his work. Mr Foo is one of the co-founders of Sant Singh Partnership and Templars Law LLC. Member Law Society’s Ad Hoc Committee to Review the 2007 Penal Code Amendments. Law Society’s Pro Bono Free Legal Clinic as well as Criminal Legal Aid Scheme (CLAS) program, which provides legal representation for those persons charged with criminal offences but who cannot otherwise afford legal defence. Mr Foo, who is also effectively bilingual in English and Mandarin, is also frequently consulted and quoted in the local Chinese daily newspapers such as Lian He Zao Bao (where he contributes to a regular legal column in ”Xin Hui Dian”), Lian He Wan Bao and Shin MinDaily News. Mr Foo is a Contributing Expert to World Justice Project Rule of Law Index. 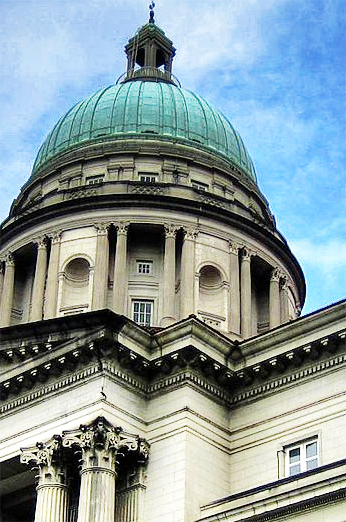 Annual Report Singapore Section – giving professional and independent assessment on the state of the Rule of Law and Justice in Singapore. Three Reasons To Appoint Us To Defend You.